The meeting is organized annually by one of the Catholic Eastern Rite Churches present in Europe. Since 2009, CCEE has given its support to this meeting. 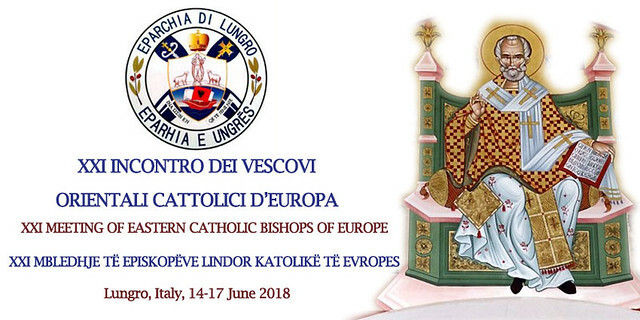 This year the meeting will take place in Lungro (Italy). Within the Catholic Church there are particular Churches, called sui iuris Churches or Rites, in full communion with the Church of Rome but distinguished from the Latin Catholic Church by their different forms of liturgical worship and popular devotion, sacramental (administration of the sacraments) and canonical (juridical norms) disciplines, terminology and theological traditions. In Europe there are Bishops of the Greek-Catholic, Maronite, Chaldean, Armenian Churches. The programme (only Italian) is available here.